Decorative, UV STABLE, colored-quartz aggregate. Available in "M" medium for broadcast systems and in "TR" TROWEL GRADE for hand or power trowel applications. See ROCK-TRED COLOR CARDS for available blends. Call for info and lead time on custom blends. 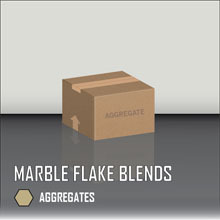 Decorative, UV STABLE, blended or single color broadcast flakes. Available in HYBRID (larger and small sizes mixed), SMALL (1/16"), MEDIUM (1/8"), and LARGE (1/4") sizes. 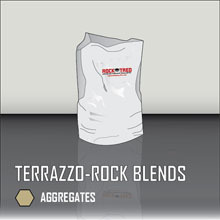 See ROCK-TRED COLOR CARDS for available blends. Call for info and lead time on custom blends. Decorative TRI-COLORED flake blends. Available in HYBRID (mixed), SMALL (1/16"), MEDIUM (1/8"), and LARGE (1/4") sizes. See ROCK-TRED COLOR CARDS for available blends. Note that Marble blend colors may vary from lot to lot due to manufacturing process. Decorative naturally occuring crystalline flakes with a shimmering, metallic earthtone appearance. 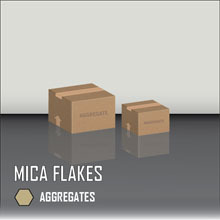 Mica flakes are much lighter than standard decorative flake and typically require 2 broadcasts at approximately 10-13 square feet per pound per broadcast for full flake coverage. Both broadcasts will require scraping due to the way Mica settles into the epoxy. 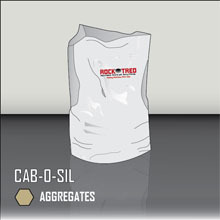 All ROCK-TRED Mica Flakes except the Single Mica Color BRONZE are shipped in 25 pound units. The Single Color Mica BRONZE is shipped in a 15 pound unit due to its lower bulk density. Decorative blend of UV STABLE, colored quartz aggregate in a trowelable blend with decorative recycled glass beads. 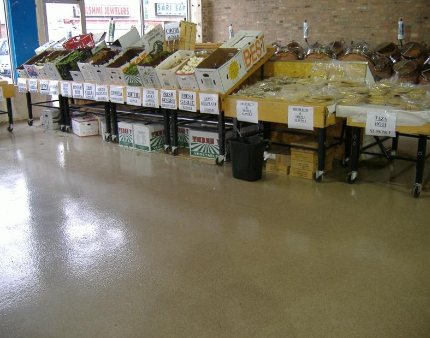 Can be hand or power troweled for a TERRAZZO-like finished appearance. 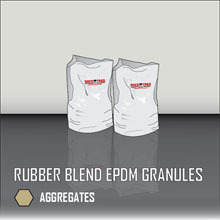 Colored, blended, UV Fade Resistant EPDM granuals for use in ROCK-TRED SOFT FLOORING Systems. Used as broadcast media in creating long lasting flexible and comfortable textured surfaces. 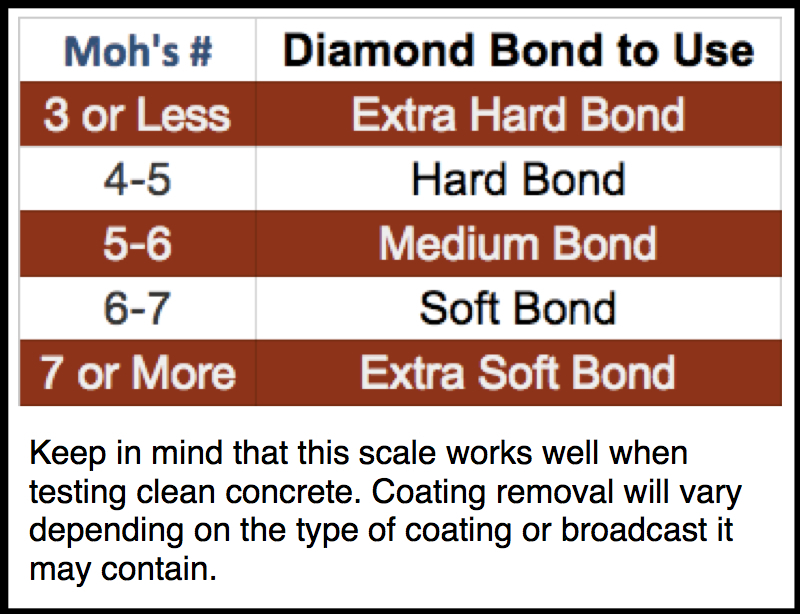 Large stone aggregate (1/4" x 1/8") that can be blended 50/50 with Poxi-Rock Flooring and PCA 323 to extend deep fill epoxy mortar and other patching installations. 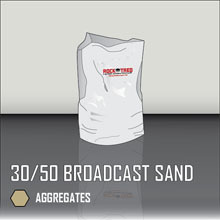 35/50 Mesh, rounded, broadcast sand for broadcasting into coatings and slurry/broadcast floor systems. 220/40 Mesh, blended, graded, "OON" aggregate. Can be used in trowel or broadcast systems. This is a darker colored, low cost, angular aggregate. 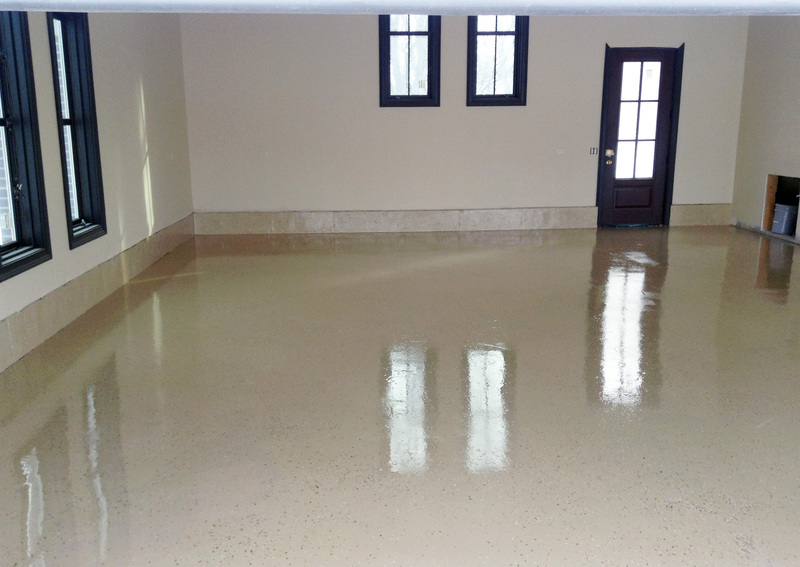 Gap graded, blended, trowel mix aggregate specially formulated for easy hand and power trowel epoxy mortar/patching applications when mixed with Poxi-Rock Flooring liquids. Stocked in Natural. Red and Gray (dry pigmented) available as special orders with additional lead time. Fine quartz silica blended into epoxy for slurry patching applications. Typically added to low cost, low viscosity resins such as Eco-Poxi at approximately 10-18 lbs. 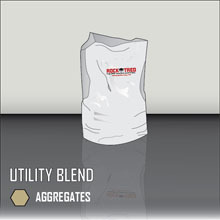 aggregate per gallon of mixed liquids. Blend of 20/40 mesh natural quartz and 24 mesh BROWN aluminum oxide. Used to provide a cost-effective, long-wearing, anti-slip texture in high wear conditions. 20/40 mesh, rounded, broadcast aggregate for more aggressively textured "seeded" coatings and slurry/broadcast floor systems. 12/20 mesh, angular broadcast aggregate for aggressively textured "seeded" coatings and slurry/broadcast floor systems. 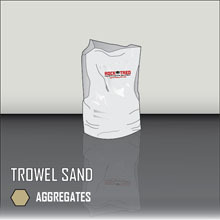 Can be added into deep fill trowel mortar to add inexpensive volume to the matrix. 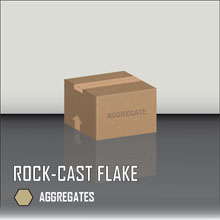 Fine, "softer feeling", rounded plastic broadcast media that does not sink into coatings like heavier broadcast aggregate. 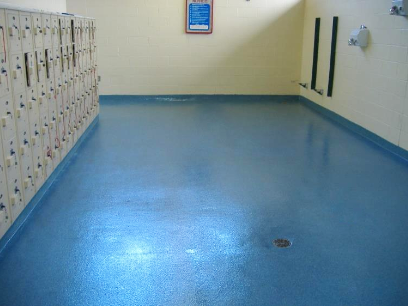 Recommended for use in thin mil coatings in areas such as locker rooms, showers and animal cages to provide an anti-slip texture without sharp edges. 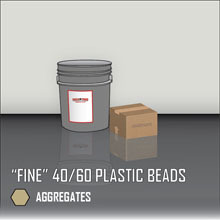 Fine, rounded, glass beads added to a troweled epoxy mortar or cove base mix to make troweling easier. Proprietary gradation of medium to super-fine aggregates designed to stay in suspension when applied as part of the ROCK-TRED SL self-leveling system. Packaged in 50 lbs bags for use with 3 gallon mixes. Recommended for use with ROCK-TRED SL Epoxy or CHEM-ROCK LV ONLY. Inert extra-fine powder used to thicken and add viscosity to epoxy resin based products. Most often used with inexpensive 100% solids resin such as Eco-Poxi to create patching compound. 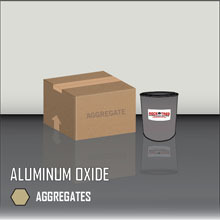 Aluminum Oxide Comes in 12, 30, 46, 60, 100, & 240 grit sizes.